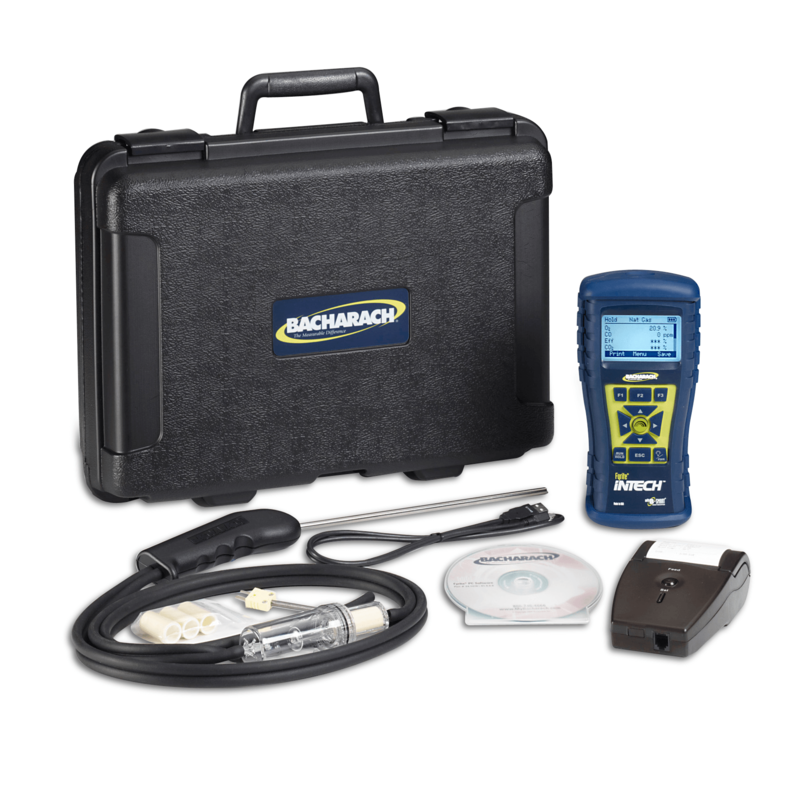 BACHARACH FREE GIFT. 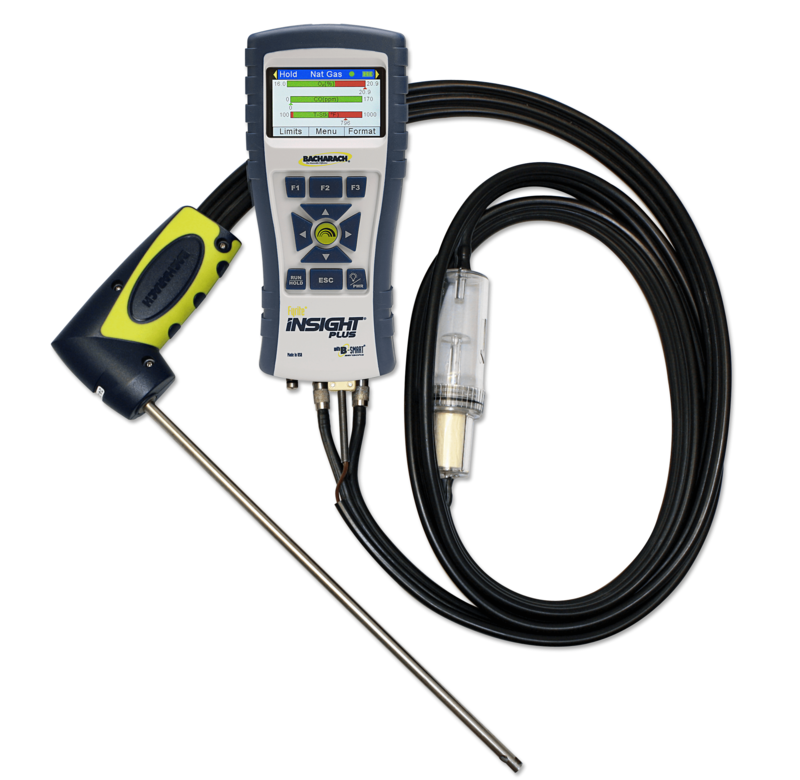 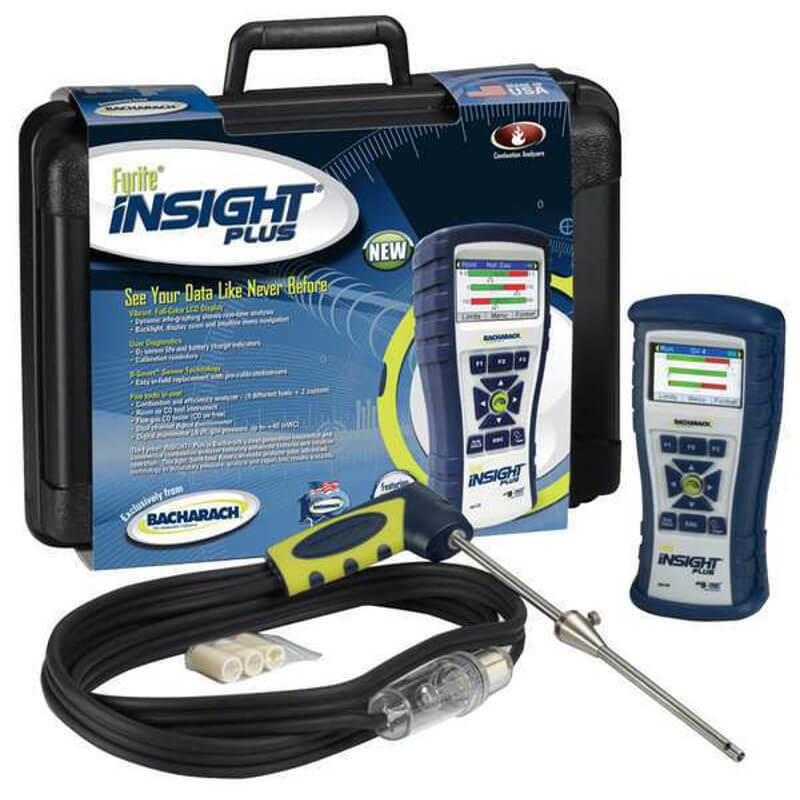 Details and Redemption FormBacharach 24-8518 Fyrite Insight Plus Combustion Analyzer Reporting Kit LL is designed as a 5-in-1 tool that acts as a flue gas CO tester, room air CO tester, dual channel digital thermometer (up to 999°F), and a digital manometer (measures draft, gas pressure, ESP, and up to ±40 INWC). 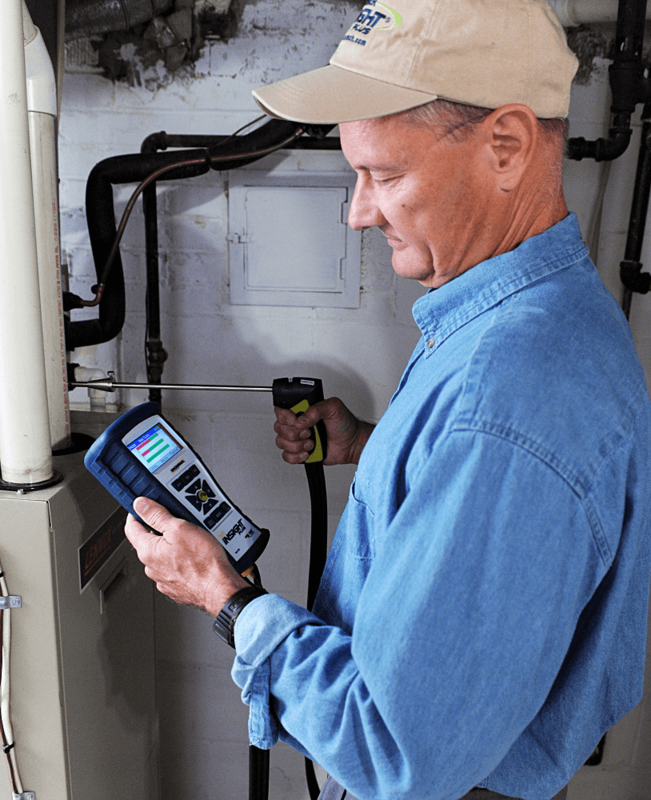 The Bacharach 24-8518 features Tune-Rite HVAC assistant software for assisted troubleshooting, vibrant easy-to-read display with real-time analysis, B-smart CO (0-4,000 ppm) with integral NOx filter, 9 pre-programmed fuels and 2 custom user-programmable fuels, 3 year O2 sensor lifespan, and datalogging up to 100 readings for direct printing or PC communication via USB with Fyrite User Software. 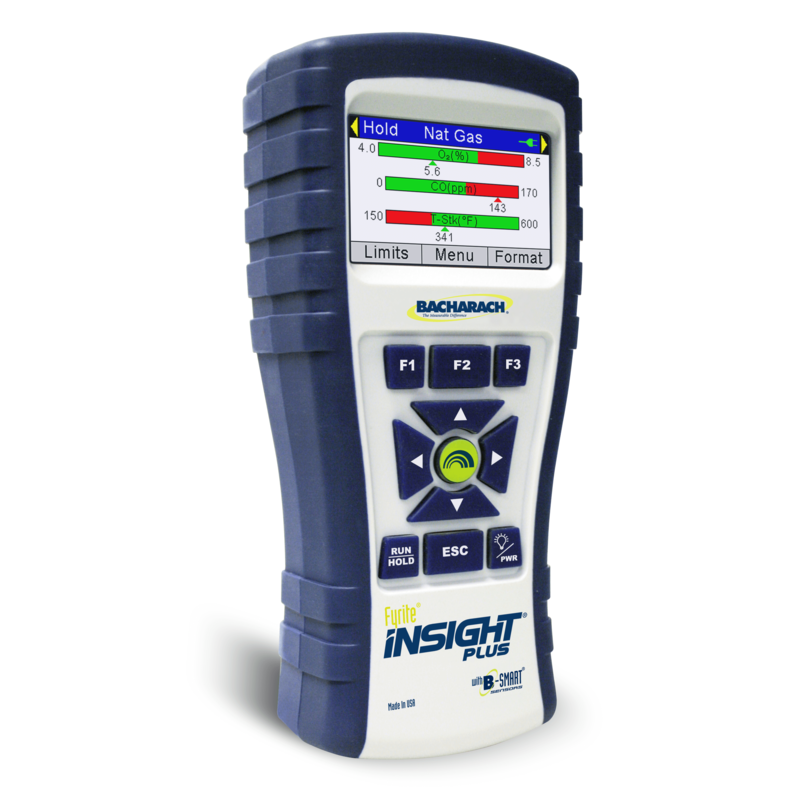 The American made Bacharach 24-8518 Insight Plus with its full-color graphic LCD display is the combustion analyzer for the technician looking for convenience, performance and accuracy in their residential or light commercial testing. 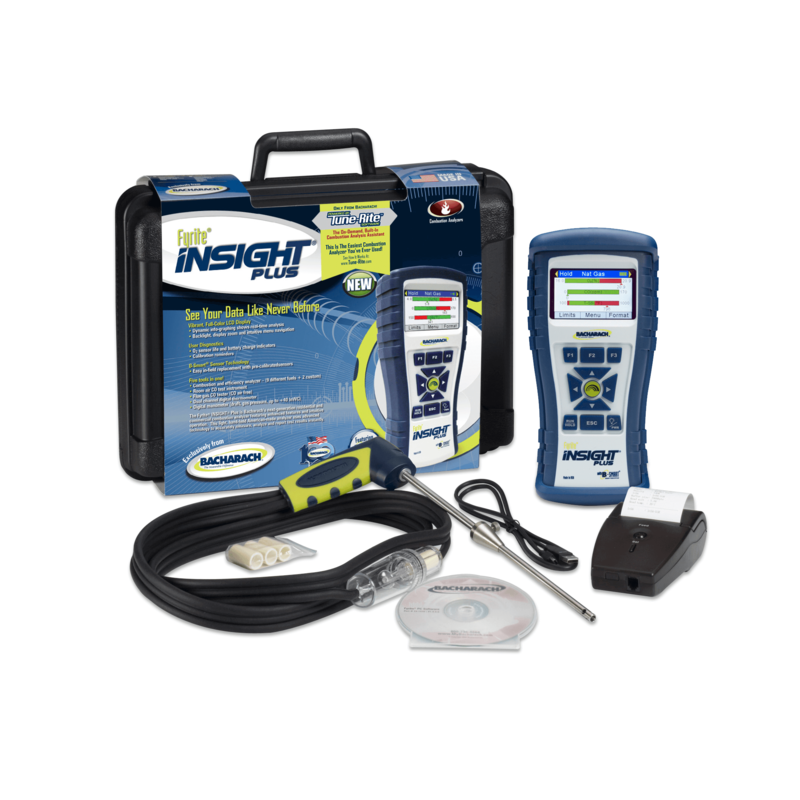 The Insight Plus is powered by Bacharach’s innovative Tune-Rite software that assists the technician in assessing the safety and efficiency of the appliance being tested. 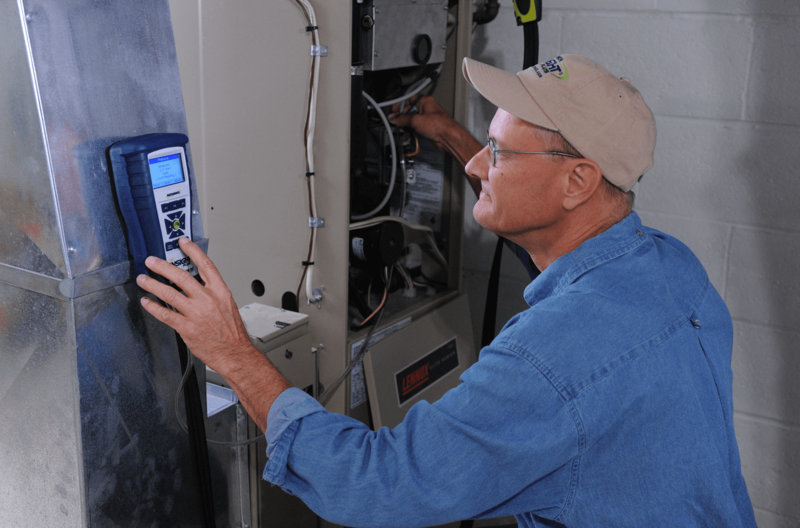 The technician with the Tune-Rite technology can easily and quickly analyze the system and if any problems exist, can get a prioritized list of recommended adjustments. 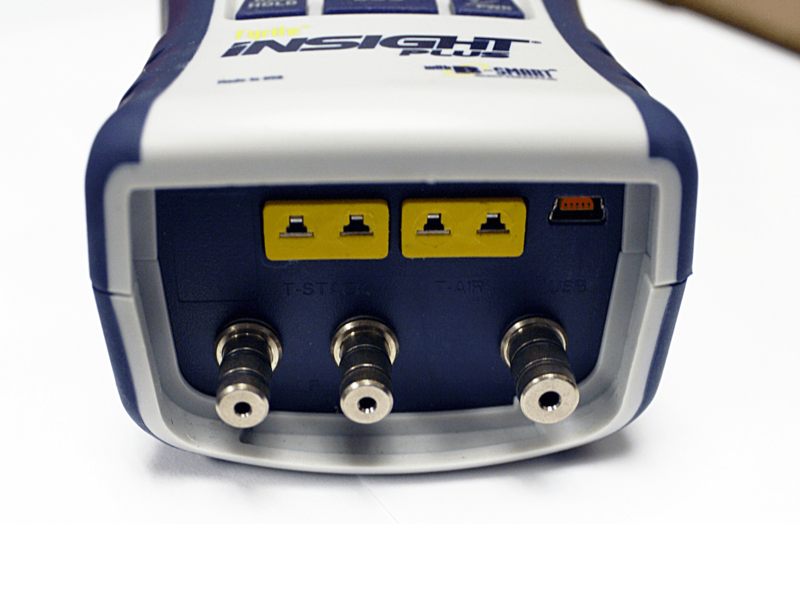 The results of this test can be printed out. 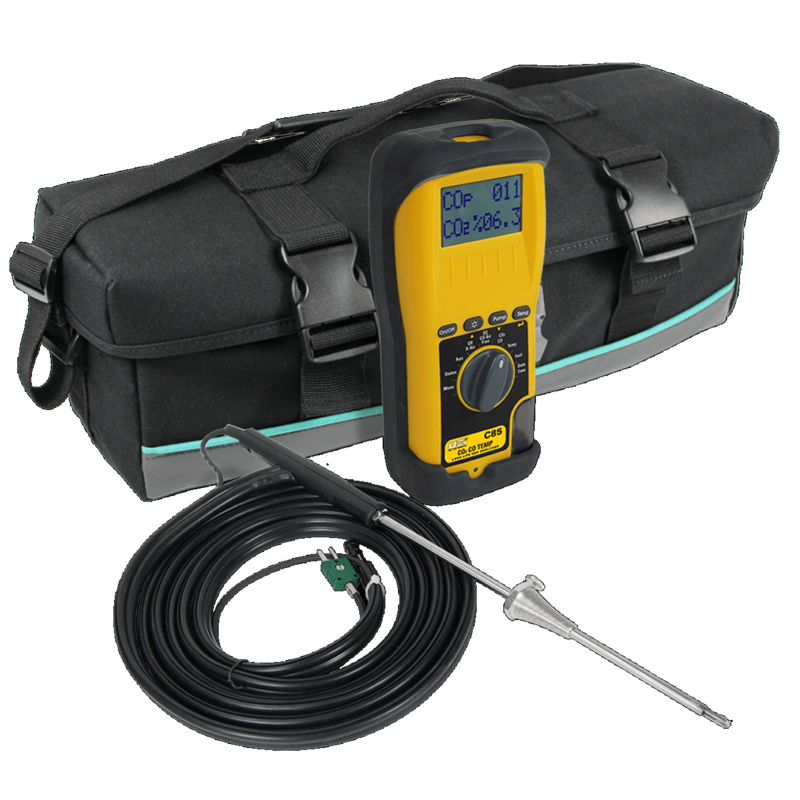 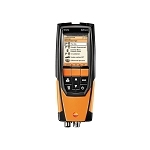 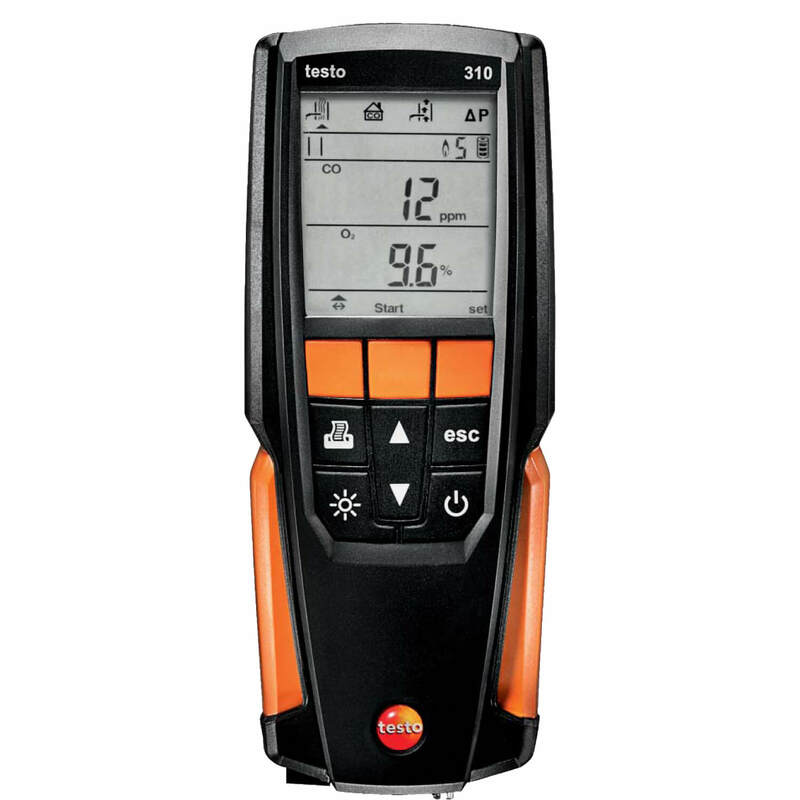 In addition, the technician is further assisted by the 0024-8518 five-in-one analysis that includes a room air CO test instrument, a flue gas CO tester, dual channel digital thermometer (up to 999 F), and a digital manometer (which measures draft, gas pressure, ESP, and up to +/- 40 INWC). 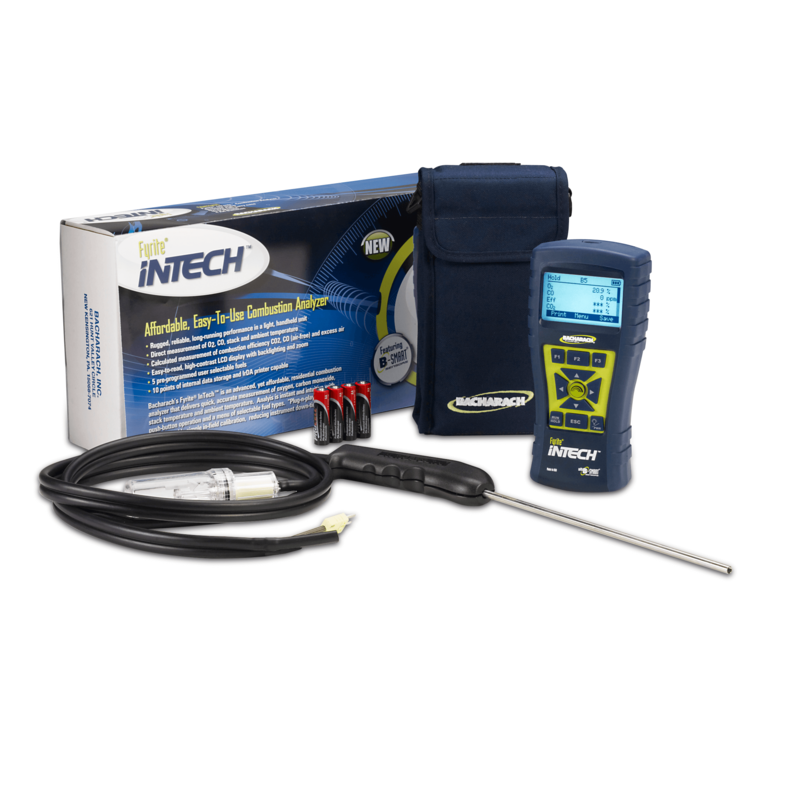 The Bacharach 24-8518 comes with O2 (3 year lifespan), a field replaceable CO (with an integral NOx filter) sensor, 9 preprogrammed fuels and 2 custom fuels and data logging up to 100 readings for direct printing or PC communication via USB with the Fyrite User Software. 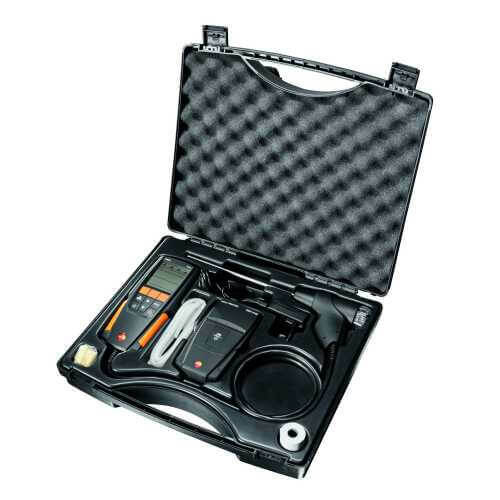 Kit contains: Instrument, probe, spare filters, protective rubber boot, IrDA wireless printer, Fyrite User Software, USB Cable, 8 AA batteries, user manual and hard-carrying case.